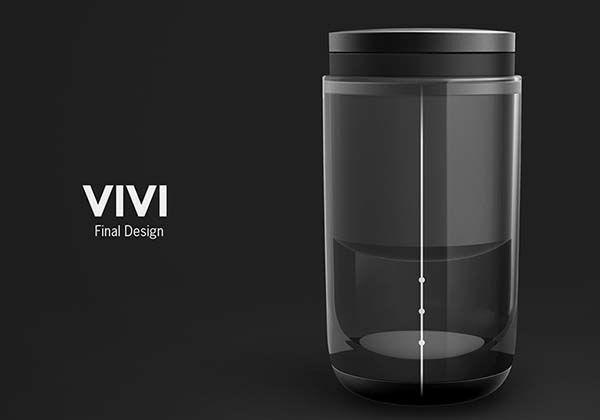 There are all kinds of coffee grinders on the market, but if you want a balanced combination of quality electric burr grind, affordable price and simple controls as well charming look, the VIVI concept coffee grinder should be able to draw your more attention. 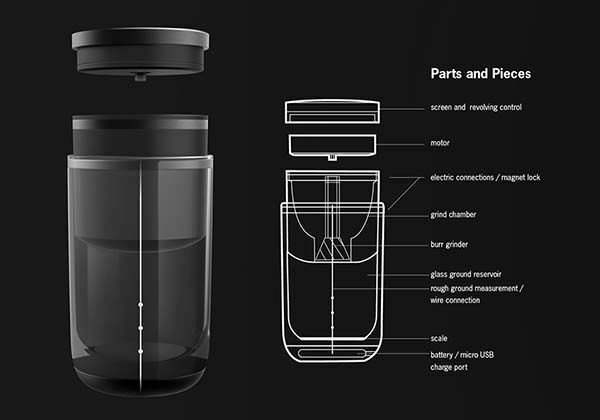 Scott Pancioli, an industrial designer from Detroit came up with the gorgeous design concept that focuses on superior grind quality and simple operation, but what first caught our attention is its minimalistic and elegant appearance, and the blend of plastic, metal and glass adds much modern aesthetics to the coffee grinder. 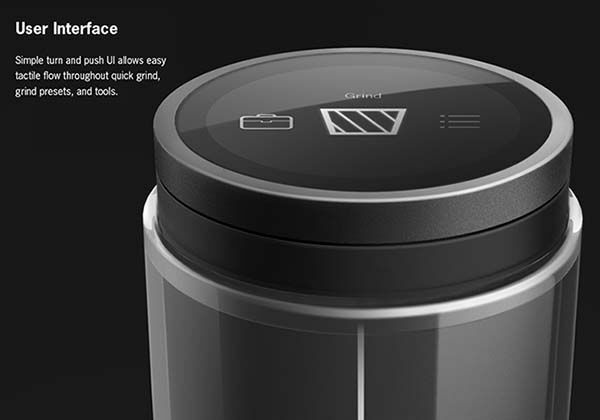 The electric coffee grinder features an integrated touch interface on the top that allows you to easily select grind level, grind type, amount, and handily access timer, stopwatch, and scale without additional accessories. When all have been done, just pushing the top starts your grind. 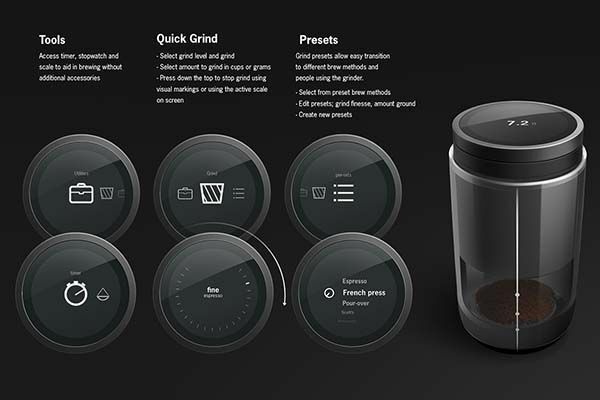 Moreover, grind presets bring you an easier way to grind your favorite coffee beans. 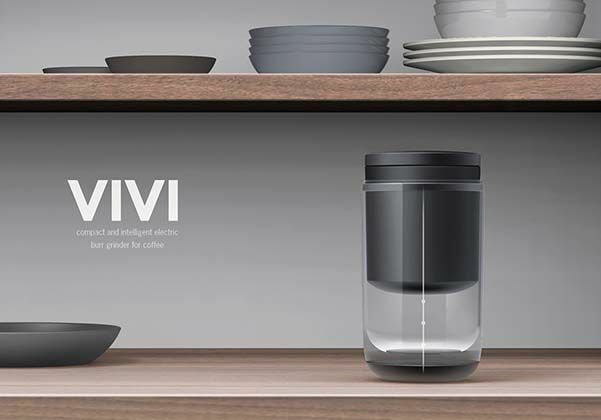 In addition, the electric coffee grinder is powered by built-in rechargeable battery and can be charged by its microUSB port, so you can freely use it in the kitchen, sitting room or anywhere in the home. 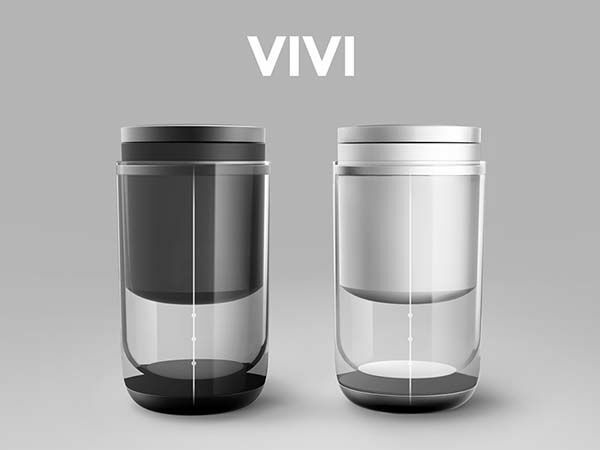 However, the VIVI is still a design concept. 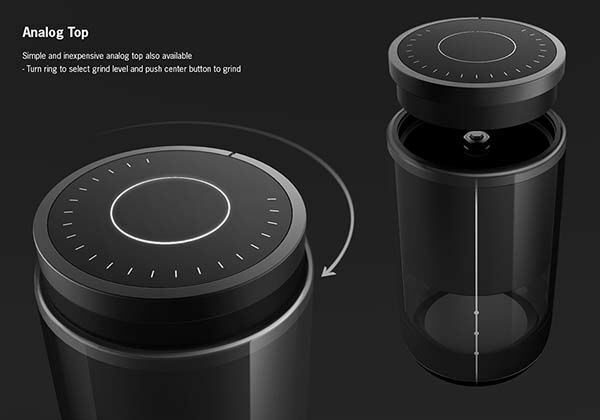 We have no idea whether the concept coffee grinder will become reality soon. If you want some available options, you may like to check the Precision coffee grinder and more by following tags.